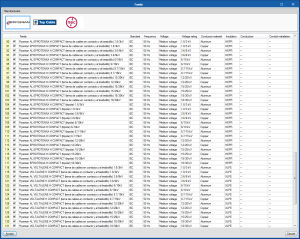 IFC Uploader is a free tool that allows users to add files in IFC format to projects on the BIMserver.center platform that also automatically generates GLTF files so they can be viewed, both on this platform and in the set of Open BIM workflow programs. 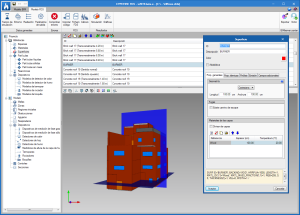 This application allows for other applications that generate standard IFC files, but do not currently have a direct communication with the BIMserver.center platform, to be integrated in the Open BIM workflow. 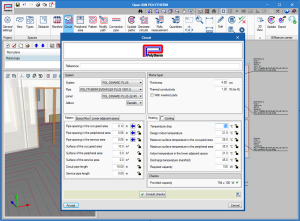 The tool has an integrated viewer to view the set of models linked to each project. 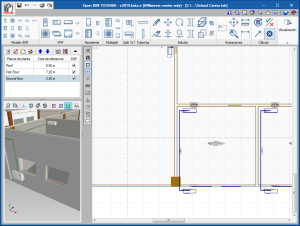 Open BIM Electrical Mechanisms is a free program for users to design the arrangement of electrical mechanisms (such as switches, sockets and audiovisual and telephony connectors) based on an architectural model located on the BIMserver.center platform. 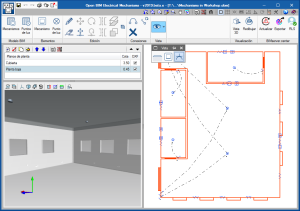 Open BIM Electrical Mechanisms is integrated in the Open BIM workflow. The program allows users to define the activation circuits by connecting mechanisms and light points. 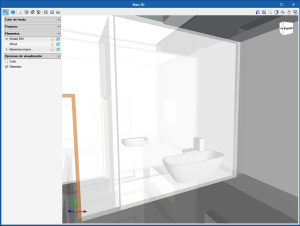 Open BIM Sanitary Equipment is a free tool developed to introduce sanitary equipment of bathrooms and toilets in the BIM model of the project: urinals, showers, bathtubs, washbasins and bidets. 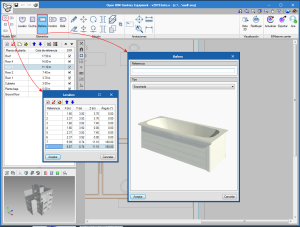 Open BIM Sanitary Equipment exchanges information on the drains of the sanitary equipment with CYPEPLUMBING Sanitary Systems, which implies users save time by not having to introduce this data in the second program. 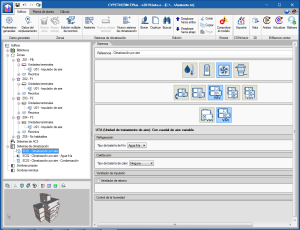 This data can be exchanged thanks to the BIM model of the project that is located on the BIMserver.center platform. The program provides a detailed list of the sanitary equipment elements of the project, and generates an IFC file with all the attached documents and a GLTF file with the 3D view of the elements that have been introduced. The IFC and GLTF files that have been generated are exported to the BIM model of the project located on the BIMserver.center platform. 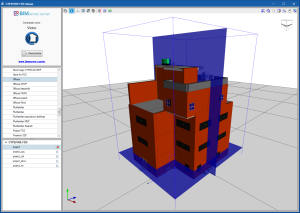 CYPEFIRE FDS is an application for use in the design of complex building models, to carry out simulations of the evolution of fires using the Fire Dynamics Simulator developed by the NIST (National Institute of Standards and Technology, USA). CYPEFIRE FDS is a multifunctional tool that can be very useful for firefighter training and for the technicians responsible for the design of the extinguishing systems, temperature control and smoke evacuation systems (SCTEH), to evaluate the fire safety of the buildings during the project stage as well as for the reconstruction of fire scenarios. 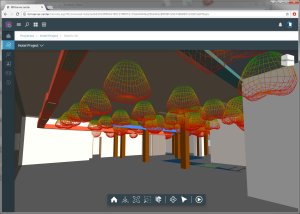 With the BIMserver.center web platform, all the participants and applications that are part of an integrated project communicate directly using the Open BIM workflow. This integration is carried out by exchanging IFC information files with a previously defined BIM model. 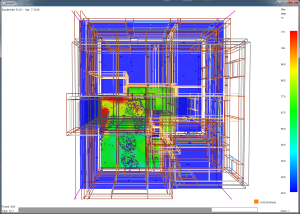 The Smokeview tool, developed by the NIST (National Institute of Standards and Technology, USA) can be launched to view the data of the fire dynamics simulation. 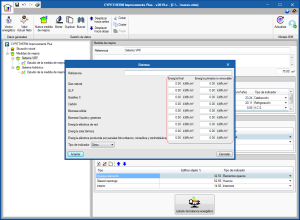 During the simulation, the FDS analysis engine writes several files, with CSV format, containing values, obtained as a function of time, of parameters such as the heat emission or status of the devices and controls. The graphs that are generated with this information can be viewed in CYPEFIRE FDS, even during the analysis. 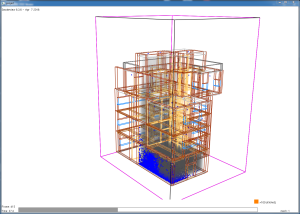 The complexity of performing a fire dynamics simulation in a building and the multiple factors that are involved, require greater hardware and software requirements compared to those that are necessary to carry out normal work with other programs. To perform the fire dynamic simulation in a building, the CYPE programs user license must include the "Dynamic fire simulation" permit (which is the same that provides access to the "Dynamic fire simulation using the Fire Dynamics Simulator”) and the user license must be updated to the 2019 or higher version. CYPEFIRE FDS is a free application to view simulations of the evolution of fires carried out using the Fire Dynamics Simulator developed by the NIST (National Institute of Standards and Technology, USA). 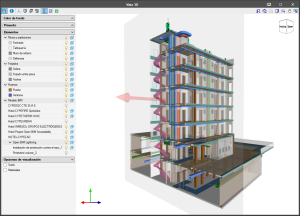 CYPEFIRE FDS Viewer is integrated into the Open BIM workflow. 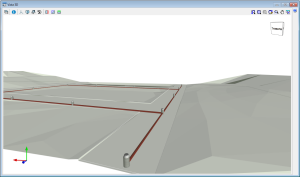 In order to use the viewer, users must connect to a BIM model located on the BIMserver.center platform. 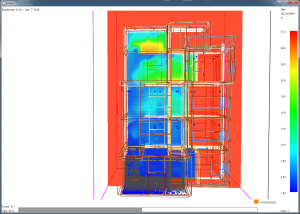 If the selected project contains data from the FDS analysis engine, CYPEFIRE FDS Viewer will interpret the values to display the simulation. 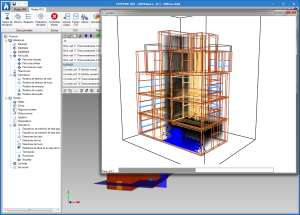 To calculate an FDS model and share the results via the BIMserver.center platform, the Open BIM fire dynamics simulation application, CYPEFIRE FDS can be used (program that has also been implemented in this version). 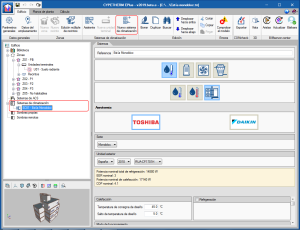 Open BIM TOSHIBA is a free program with which users can design VRF, Multi-split, Split 1x1 and Aerothermal air conditioning systems using an architectural model that is located on the BIMserver.centerplatform. 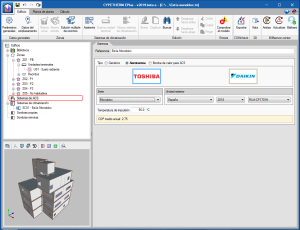 Open BIM TOSHIBA is integrated in the Open BIM workflow. 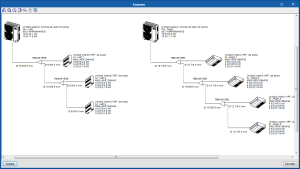 The program has a graphical interface that allows users to introduce the equipment in the drawing space and connect it with pipes. 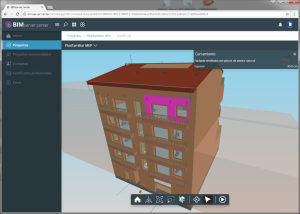 The program exports a file with IFC format and another with GLTF format so the installation that has been introduced is visible in all the 3D views of the applications that are connected to the BIM model of the project. 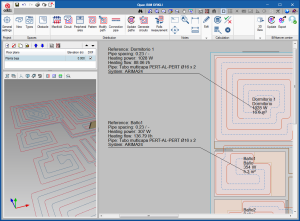 CYPETHERM programs that have the EnergyPlus™ analysis engine: CYPETHERM EPlus and CYPETHERM RECS Plus, can import equipment and pipes that have been introduced in Open BIM TOSHIBA if they are connected to the BIM project located on the BIMserver.center platform. 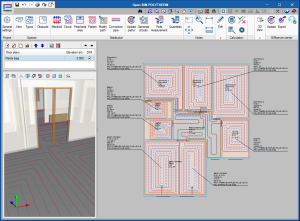 Open BIM POLYTHERM is a free program conceived to design air conditioning systems consisting of radiant floors of the manufacturer POLYTHERM. 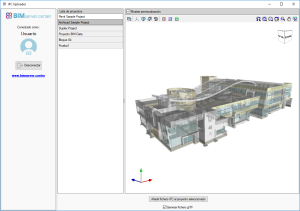 It is included in the Open BIM workflow and can be downloaded from the BIMserver.center platform. More information on this new application will be available shortly. 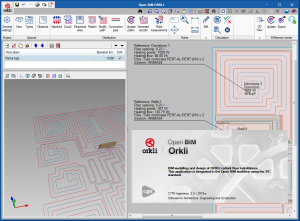 Open BIM ORKLI is a free program conceived to design air conditioning systems consisting of radiant floors of the manufacturer ORKLI. CYPETHERM Radiant floor is a program conceived to design air conditioning systems consisting of generic radiant floors. CYPETHERM Radiant floor replaces the tools that CYPETHERM HVAC had in previous versions to calculate hydronic radiant floor installations. To use CYPETHERM Radiant floor, the user license must contain the “Radiant and cooling floor” permit. New program to carry out the energy audit of the building and analysis of possible improvement measures, with energy and economic study of the different alternatives, oriented to the connection with CYPETHERM programs with the EnergyPlus™ analysis engine (CYPETHERM EPlus and CYPETHERM RECS Plus). 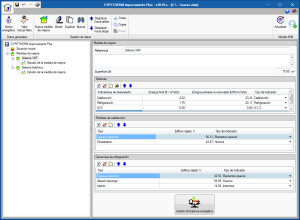 This new program is the evolution of CYPETHERM Improvements to optimize the connection of the program that studies the improvement measures with the results offered by CYPETHERM programs with the EnergyPlus™ analysis engine. One of the main characteristics that distinguishes "CYPETHERM Improvements Plus" from "CYPETHERM Improvements" is the possibility to describe the energy consumption of the different services of the building, distinguishing the final energy from the primary, non-renewable energy. To be able to work with "CYPETHERM Improvements Plus" the user license must have the “Improvement measures" permit, which is the same that provides access to "CYPETHERM Improvements". More information on “CYPETHERM Improvements Plus” will be available shortly. Both versions of each type of infrastructure are the same tool, with the same way of working during the introduction, analysis, design and obtaining of the documentation of the installation. 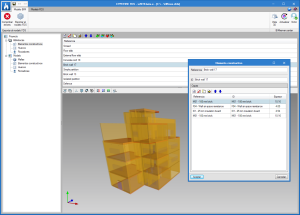 The only difference between the classic versions of the infrastructure programs and those that can be downloaded from the BIMserver.center platform, is that in the classic, the connection to a BIM model is optional and those of the BIMserver.center platform must be connected to a BIM model. 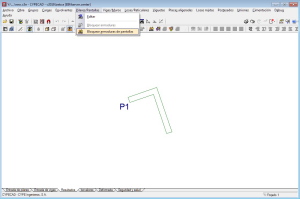 If an IFC4 file exists in the BIM model, which is located on the BIMserver.center that includes the data of the terrain in an entity of the type “IfcGeographicElement”. 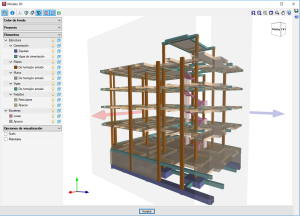 The standards for which this report has been implemented can be consulted in the “Wind load justification report” section of the new features of CYPECAD. 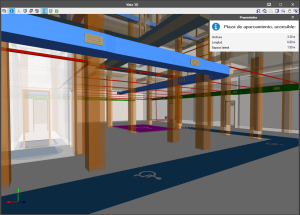 The 2019.e version includes a new 3D view system in most of its programs: CYPECAD, CYPE 3D and the entire family of applications integrated in the Open BIM workflow. It will be incorporated progressively in other programs. For this viewing system to operate correctly, the applications require a video card that is compatible with OpenGL 3.3 or higher. 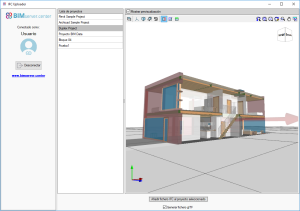 As of the 2019.e version, the applications that are integrated in the Open BIM workflow can consult the BIM information contained in the GLTF format files in the same way as on the BIMserver.center platform. 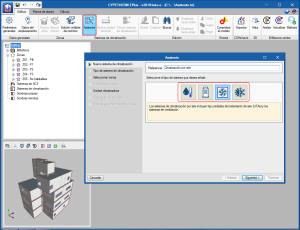 As of the 2019.e version, "Open BIM Accessibility" can read the parking spaces of the IFC generated by CYPEURBAN in the BIM model. This way, users of "Open BIM Accessibility" will be able to introduce "accessible" spaces by taking the position and dimensions of those imported from "CYPEURBAN”. As in previous versions, “Open BIM Accessibility” will check that the accessible spaces meet the requirements of the corresponding code. As of the 2019.e version, “Open BIM Accessibility” automatically reads the doors of the BIM model and detects those that are in an accessible itinerary to check they meet the requirements of the corresponding standard. As of the 2019.e version, users can set a displacement limit from which the deformed values are not shown. 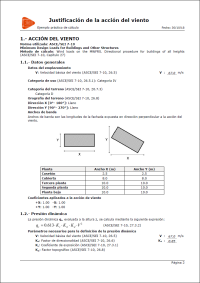 That is, the deformed shape of the structure is still represented by the scale factor indicated by users regardless of whether the indicated limit is exceeded or not, only now, all the points that exceed the displacement limit are drawn in black. To do so, the "Maximum value" option has been included in the "Deformed shape" panel that is represented in the "Deformed shape" dialogue. This tool helps users to visualize the deformed values, discarding the parts with a displacement value higher than that established by them. 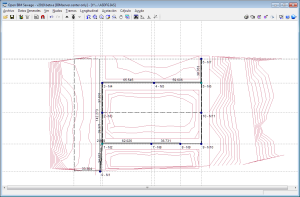 This new feature was implemented in CYPECAD in the 2019.d version. 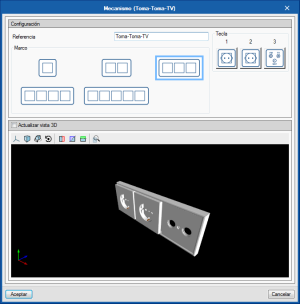 As of the 2019.e version, drawings exported in dxf /dwg format will generate “dimension” type element blocks. In previous versions, dimensions on drawings were exported as a series of lines and texts. This report was implemented for other codes in previous versions and will be implemented for other codes progressively. As of the 2019.e version, the reinforcement of reinforced concrete shear walls can be blocked in the same way as is done for reinforced concrete walls. Blocked shear walls will not undergo any modifications during the design phase. 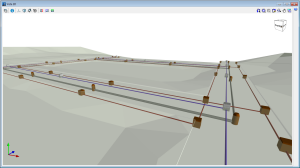 Any of the infrastructure programs (Water Supply, Sewage, Electrification and Gas Supply) can import a topographic model of the terrain if the project is connected to a BIM model located in BIMserver.center that contains an IFC4 file with the terrain data defined in an “IfcGeographicElement” type entity. If an IFC of these characteristics is imported, the terrain will appear on the screen represented with contour lines and when the nodes of the network are introduced, the elevation of the terrain where they are located will be used automatically, greatly aiding in the definition of the network. 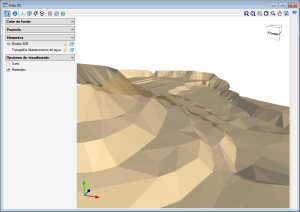 If additionally, the geometry of the terrain is to be visible in the 3D views of the program and in the 3D viewer of BIMserver.center, the IFC4 must have an associated GLTF file that includes that 3D view. 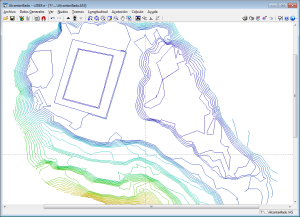 The reading of topographic models of the terrain is also included in the new equivalent infrastructure programs that are installed from the BIMserver.center platform (Open BIM Water Supply, Open BIM Sewage, Open BIM Electrification and Open BIM Gas Supply). 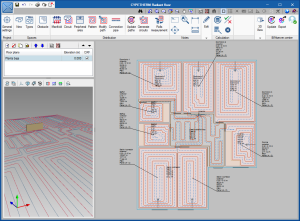 As of version 2019.e, CYPECAD MEP can export the geometric information referring to the architectural model and the installations to the BIM project of the BIMserver.center platform, via several GLTF files attached to the IFC. The user and the different collaborators of the project will be able to view the GLTF files using the BIMserver.center web viewer or any other program that reads GLTF format files. Now, CYPECAD MEP exports a GLTF file for the architectural model and one for each individual installation (Fire, Air conditioning, Acoustics...). During the export process, the designer can decide which GLTF files are to be generated and to be included in the project. The “Edit series” tool has been implemented to edit, in series, elements belonging to the same category. The tool is located in the “Edit” section of the toolbar. 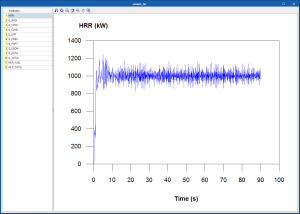 If the “Edit series” tool is active when any element of the single-line diagram is edited, for example an impedance, the editing panel that appears has a lower bar that allows to scroll through (backwards and forwards) all the elements of the same category that are present in the single-line diagram. This tool also allows you to copy the editing parameters of the element that is being viewed and paste them onto another previous or subsequent element. 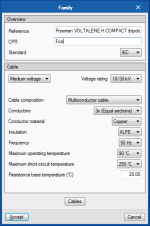 The “Edit series” tool has been created for quicker editing and viewing of the properties of the elements of the circuit diagram. Several families of medium/high voltage Prysmian cables are included, specifically for 1.8/3 kV, 3.6/6 kV, 6/10 kV, 8.7/15 kV, 12/20 kV, 15/25 kV and 18/30 kV voltages, in copper and aluminium, with XLPE and HEPR insulation and three-core and touching cable configurations. More information on these new features of “CYPEPLUMBING Sanitary Systems” will be available shortly. More information on these new features of “CYPEPLUMBING Water Systems” will be available shortly. More information on these new features of “CYPEPLUMBING Solar Systems” will be available shortly. 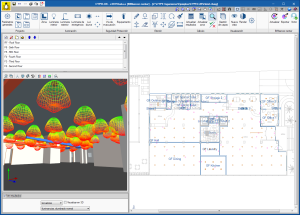 As of the 2019.e version, CYPELUX, CYPELUX CTE, CYPELUX EN and CYPELUX RECS display the photometric curves of the lights used in the project in the 3D view. Additionally, this information can be included in the BIM model located on the BIMserver.center platform as part of a GLTF file. 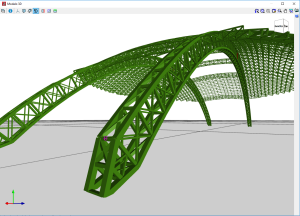 The user and the different collaborators of the project will be able to visualize the GLTF file with the photometry using the BIMserver.center web viewer or any program that can read GLTF format files. The EstiaMonobloc system, a new system in the 2018 Toshiba catalogue, has been added in the Toshiba aerothermal water-air conditioning systems and in the aerothermal DHW systems. In the aerothermal air conditioning systems, below the Toshiba logo, users can choose amongst the different outdoor units of the Monobloc series. This equipment must be connected to water-air conditioning terminal units. If users wish to use an EstiaMonobloc system for air conditioning and DHW, the same outdoor unit model must be selected in both sections (as occurs with the other aerothermal equipment). 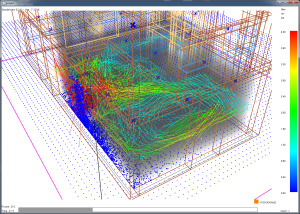 A new tool has been implemented to define the air conditioning systems of the building in a step-by-step way. Using the "Assistant" button, users can create a new complete air conditioning system, or add new terminal units to systems that are already defined in the project. This tool improves the ergonomics of the program, by allowing terminal units to be added and deleted in a single step in the different thermal zones of the building. When the “Assistant” button of the "Climate control systems" section of the top menu of the program is selected, the window in which the name of the new system is to be provided appears. Users must also choose its typology amongst the water, direct expansion, air or constant performance system categories. To the left of this window, users can see the steps which the assistant will guide him through to complete the definition of the air conditioning system. The different sections are displayed in black if they must be defined in accordance with the selected options. The buttons on the lower bar allow users to navigate in the assistant. In the second step of the assistant, users must choose the type of air conditioning system, in accordance with the category chosen previously. In the third step, users must select the areas of the building that will be associated with the air conditioning system. The assistant will automatically create the terminal units of the system defined in each of the selected zones. By default, all these terminal units will be connected to a single production system or to a single air conditioning unit in the case of air conditioning systems. On the other hand, if the option "Add an air conditioning unit per zone" is chosen, the terminal units created in each zone will be connected to their respective system. The following steps of the assistant run through the different elements that make up the type of air conditioning system that has been chosen, so users can define its properties. In general, the panels corresponding to the terminal units and air conditioning systems that are available in the program will be shown, as they are required. In the images, a variable air flow system has been defined that contains an air conditioning unit with a cold water battery connected to a water-cooled chiller. The assistant successively displays the panels to define the variable flow type box terminal units, the variable flow ATU, the water cooling system the chiller contains and finally, the water condensing system for the chiller. At the end of the wizard, the new elements of the air conditioning system will appear in the diagram of the main screen. 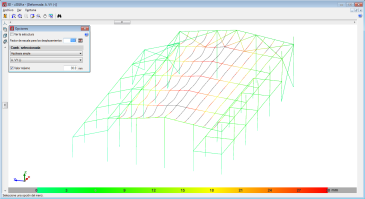 As of the 2019.e version, CYPETHERM programs with the EnergyPlus™ analysis engine, CYPETHERM EPlus and CYPETHERM RECS Plus, export the results of the simulation, with the "Improvement measure" option, via the Open BIM workflow to "CYPETHERM Improvements Plus" (implemented in this version). 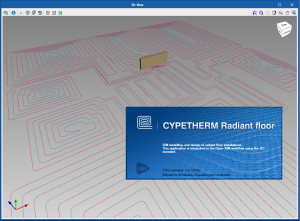 Therefore, they no longer export the results of the simulation to CYPETHERM Improvements. 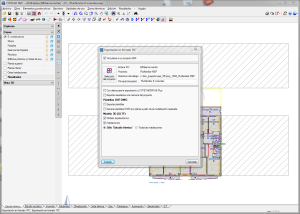 CYPETHERM programs with the EnergyPlus™ analysis engine, CYPETHERM EPlus and CYPETHERM RECS Plus, can import the equipment and pipes introduced in "Open BIM TOSHIBA" (implemented in this version) if they are connected to the BIM project located on the BIMserver platform. 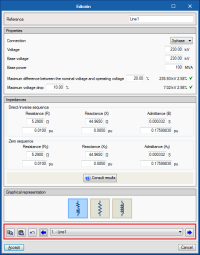 The 2019.e version of CYPETHERM programs with the EnergyPlusTM analysis engine uses version 9.0 of the engine, published on 10th October 2018.